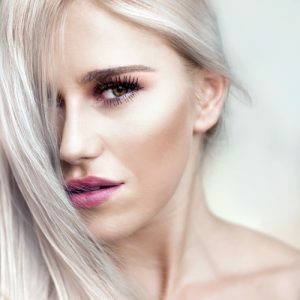 The first thing we want to clarify about pores is that they are absolutely natural and no one is born without them.However, that doesn’t mean they have to be so visible and ruin your selfies. Visibly huge and open pores are one of the most common skin issues faced by both men and women. But pores don’t happen all of a sudden; they are always there. They do, however, become more noticeable due to several reasons. Understanding those underlying reasons can help you find an effective and lasting solution for open pores. Why Do We Have Pores? These pores are essentially openings for hair follicles. Other than the hair, each pore holds a sebaceous gland that produces oil. Now, that is a good thing because these glands keep dryness at bay and maintain a healthy balance of oils – but that also means these glands have the tendency to clog the opening. The clogging makes the pores grow bigger and more noticeable. This is exactly why people with oily skin are more prone to clogged and enlarged pores. Dry skinned people are immune either. Excessive dryness and dehydration can cause sebaceous glands to overperform, but the oil gets trapped inside the pores due to a dry layer on the skin. Result: enlarged pores. While everyone is susceptible, the problem is still avoidable. With proper skin care, you can prevent clogging, i.e. the root cause. You need a regimen that involves products that can unclog pores, clean them, minimize them, and keep them that way. Before we move on to the products, you need to know what a healthy pore preventing skincare regime should involve. Beauty influencers call it the double cleanse, and unlike most of the trends they harp on, this one actually works. To minimize the appearance of your pores, you need to unclog them. That requires more than one step of cleansing. The first step is oil cleansing. It involves a light non-comedogenic oil that blends with the deeply settled sebum in the pores and breaks it down. It brings out the dirt and impurities that are trapped with the sebum. The second step involves a foam cleaner that gently removes the oil, impurities, and dirt from the skin. Now that the pores are cleaned, they can shrink back to their original size. Regular exfoliates are only good for removal of dirt and dead skin form the surface. However, enlarged pores can trap a lot of dead skin and debris inside. That calls for a deeper exfoliation, which is possible through chemical exfoliates such as acids. Also knowns as AHA or BHA peels, these acids can penetrate into the pores to remove the debris by dissolving it. They can solve even the worst case of clogs and therefore must be used two to three times a day. Masks seal it all together. There is hardly anything else that works so effectively on pores. While there are different types of masks for different skin issues, the pore-shrinking effect is constant. It is why you should never apply a mask on an unclean face as it will trap all that dirt inside your pores. There are masks that are specifically created for skin with enlarged pores. 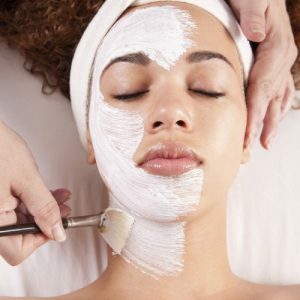 When you are done with cleansing and exfoliating, a good facemask will help you shrink the pores before they can invite any more impurities inside. Oil and sun don’t really go together. And if your skin is exposed to both of these elements at the same time, there are bound to be consequences. Sun dehydrates the skin, and that can make your sebaceous glands overactive. Pores expand and invite all the dirt inside which then mixes with the oil to make things even worse. This nasty amalgam causes blackheads, whiteheads, and even breakouts. That is definitely a lot of torture for your skin. A simple solution to prevent it is to wear a decent sunscreen with a strong SPF. Even if you are going out in the sun for a few minutes, make sure your skin is protected. Now that you know what you need to do to keep those pores invisible, here are our tried and tested product recommendations. 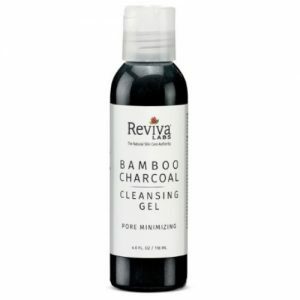 Reviva Labs Bamboo Charcoal Pore Minimizing Cleansing Gel – Keeping your skin clean is the key to pore-fection, and that is why this product is so effective.The immediate results it delivers makes it our top favorite. It is sulfate free yet non-greasy cleanser that can replace your foam cleanser. 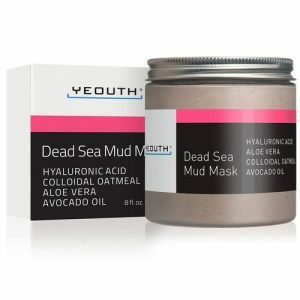 Yeouth Dead Sea Mud Mask with Hyaluronic Acid, Aloe, Oatmeal, & Avocado Oil–Infused with the miraculous Avocado oil and hyaluronic acid and dead sea minerals, this mask is nothing short of a miracle. It does wonders for clogged and enlarged pores. We love it as a one-step solution. 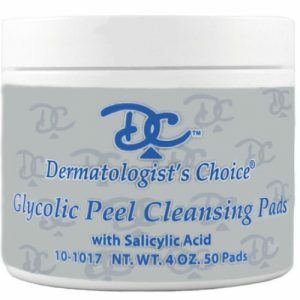 Dermatologist’s Choice Skincare Glycolic Peel Cleansing Pads–These cleansing pads have the right amount of glycolic and salicylic acid to clean your pores from deep within. The formula is gentle enough for everyday use. 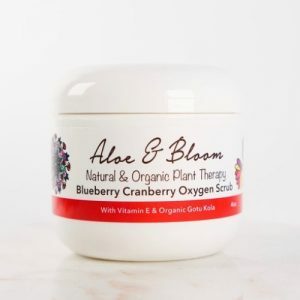 Aloe & Bloom Blueberry Cranberry Oxygen Scrub – This scrub includes a number of powerful anti-aging ingredients including horsetail, which is known for its amazing pore minimizing and skin firming properties. It visibly improves the overall texture in just one use. Angel Recipe Clay Pack–This clay mask has peeling properties that allow it to double up as your exfoliator. The mask absorbs the impurities from deeper layers of the skin leaving your pores free of dirt and sebum. It then gently hydrates and soothes the skin so that it feels just as great as it looks. Donna Bella Cosmetics 24K Deep Facial Peeling–This is essentially a spa grade facial massage in a bottle. It has glycolic acid and a range of powerful anti-oxidants that work together to answer more than one beauty concern at once. It can dramatically reduce the appearance of pores and lines. Philosophy Purity Made Simple Pore Extractor Exfoliating Clay Mask – We love Philosophy because of their targeted treatments. This clay mask is specifically created to extract all the dirt and dead cells from the pores to minimize their appearance. It lives up to the claim. 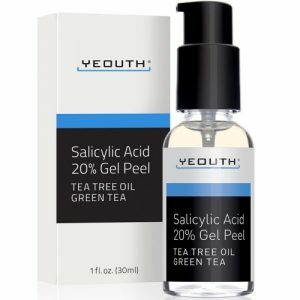 YEOUTH Salicylic Acid Face Peel 20% – If you think your pore problems are bigger than others, you should try this peel with a higher concentration of salicylic acid. It can effectively exfoliate from within to make your pores, blackheads, and wrinkles almost invisible. 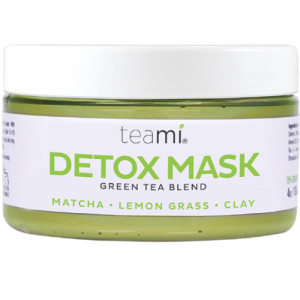 Teami Blends Green Tea Detox Mask–With three key ingredients including Match tea, lemongrass, and bentonite clay, this mask can get rid of blemishes, fine lines, and enlarged pores while making your skin smoother and more radiant. It is highly recommended for sensitive skin.